ArcGIS supports sharing geographic content across multiple platforms so it is accessible to everyone who needs it, when they need it, however they want to access it. This course teaches how to turn your authoritative GIS data, workflows, and maps into ArcGIS services that can be published to ArcGIS Online, ArcGIS for Server, or Portal for ArcGIS; easily embedded in web maps and websites; accessed by desktop, web, and mobile applications; and deployed to servers on secure internal networks. You will learn how to determine which sharing option is appropriate for your needs. Completion of ArcGIS 2: Essential Workflows or equivalent knowledge is required. Author and publish map services to share your authoritative GIS data. Publish feature services to enable editing of GIS data over the web. Create and publish image services to provide fast access to imagery. Publish geoprocessing services to share your GIS models and analysis results. 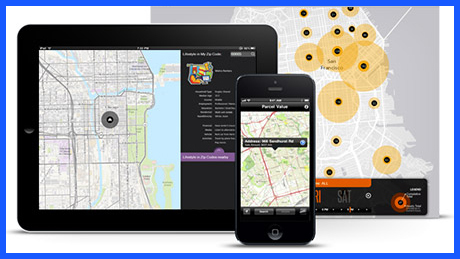 Share GIS resources as stand-alone services and in web maps and web mapping applications. What makes suitable basemap content?